The problem with not strictly adhering to standards is that while you might be able to compress or combine that broken source code, the code may not operate as expected. That can lead to strange and even seemingly random issues with your site. 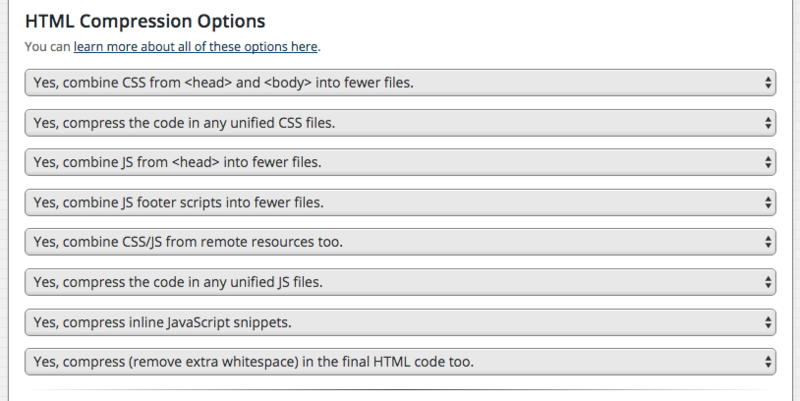 There's also a whole slew of HTML Compression options that control various aspects of overall compression. 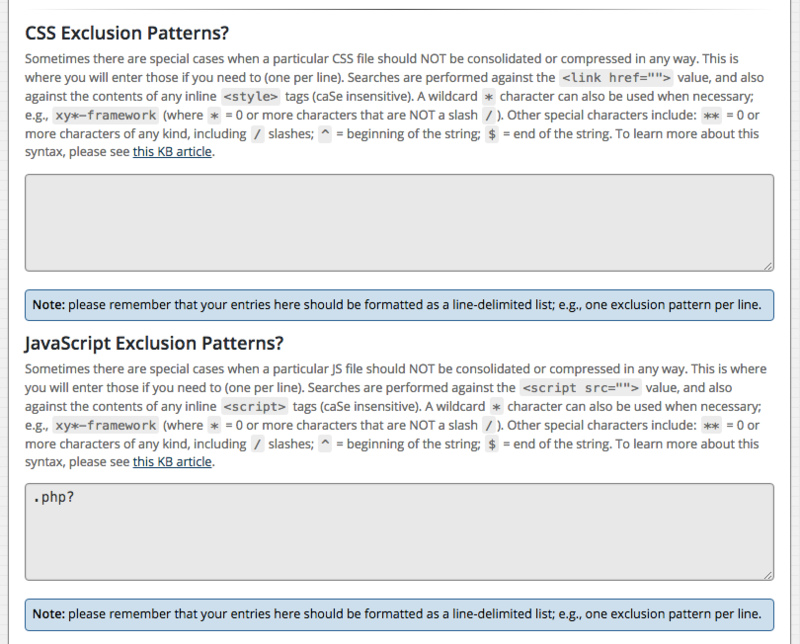 If you're having a problem with the HTML Compressor that cannot be resolved by excluding a specific file, sometimes disabling a specific compression feature will allow you to work around the issue. A final thing to keep in mind is that not all plugins and themes will be compatible with the Comet Cache HTML Compressor. Comet Cache does a very good job compressing CSS and JS in a way that is reliable, logical, and safe but sometimes there will be scenarios where reliable, logical, and safe do not allow for full compression on your site. There are other compression plugins that are solely dedicated to compressing static resources. If you're having trouble getting the Comet Cache HTML Compressor to work for you, you can try disabling the HTML Compressor and using another compression plugin, such as Autoptimize.